Unsanitary Crawl Spaces can cause a number of problems, These problems can easily be repaired if caught in the early stages. Florida Crawl Spaces are known for Termite, Flooding, Mold and Wood Rot Problems. Florida Crawl Space Repair is very important, as it can lead to serious problems and costly repairs. below is a list of the most common repairs we make. There are two different types of Crawl Space in Florida according to I.B.C. building code for the entire United States and they are, vented and non-vented construction. Florida Crawl Space problems can be avoided by routine inspections. VENTED: There are vents ” if installed correctly ” that provide adequate cross ventilation, the sub floor should be insulated along with pipes ” heat tape is a good idea” to protect against freezing, there should be a vapor barrier in every crawlspace covering the ground. The vents should be closed in the winter time. NON-VENTED: The Crawlspace Foundation Walls are insulated, the sub-floor is not. There shouldn’t be vents unless there’s a gas line in the crawlspace. 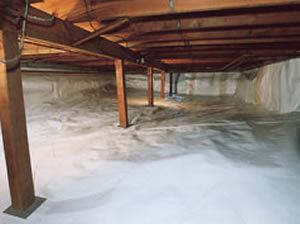 Every Crawlspace should have a vapor barrier covering the ground. The Crawlspace is conditioned using the homes H.V.A.C. system. 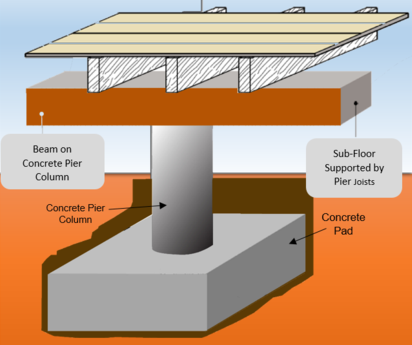 Foundation Masters, LLC can correct any Crawl Space problems and provide you with House Leveling in Tampa, Florida to South, Florida. When a Crawlspace needs repaired trust the MASTERS ” Foundation Masters, LLC ”, We can provide you with a Civil Engineer in Florida.